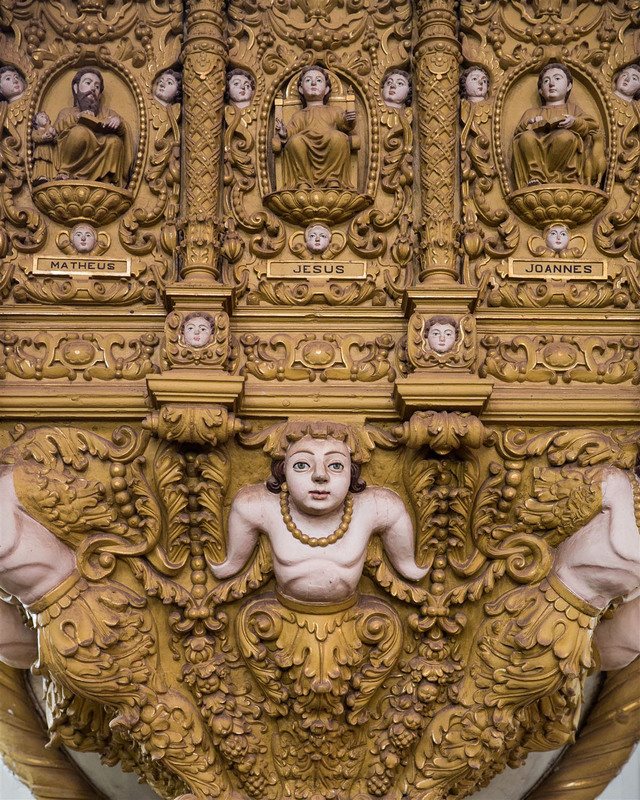 The Basilica of Bom Jesus sits boldly on the southern side of the large entral area of Old Goa. 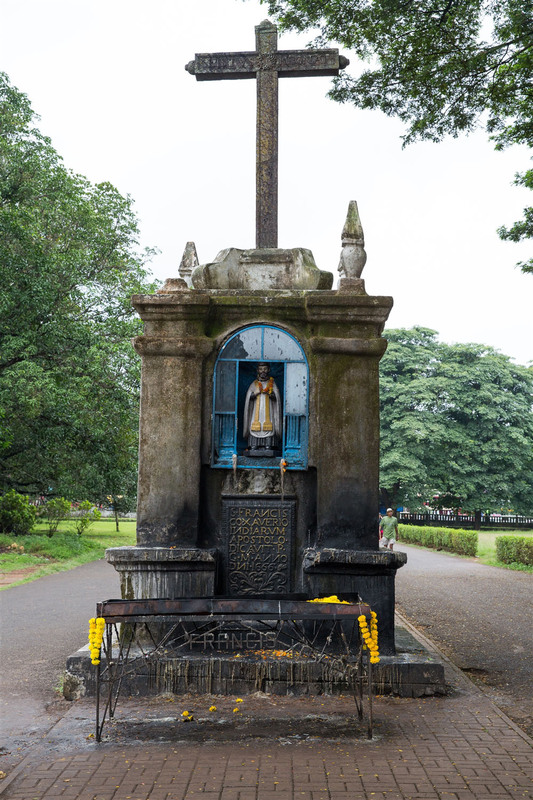 Built from 1594-1605, it is also widely known as the Church of St.Francis Xavier whose tomb it contains. 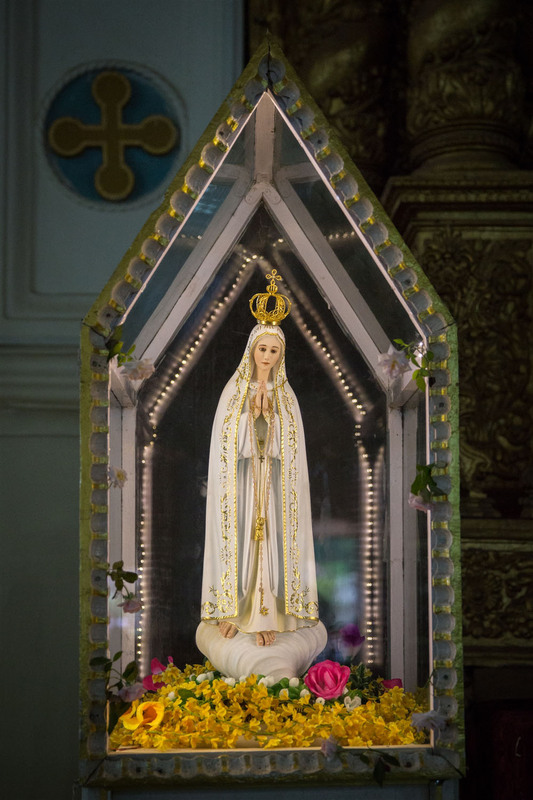 This probably makes it one of the most important Christian pilgrimage sites in the whole of Asia. 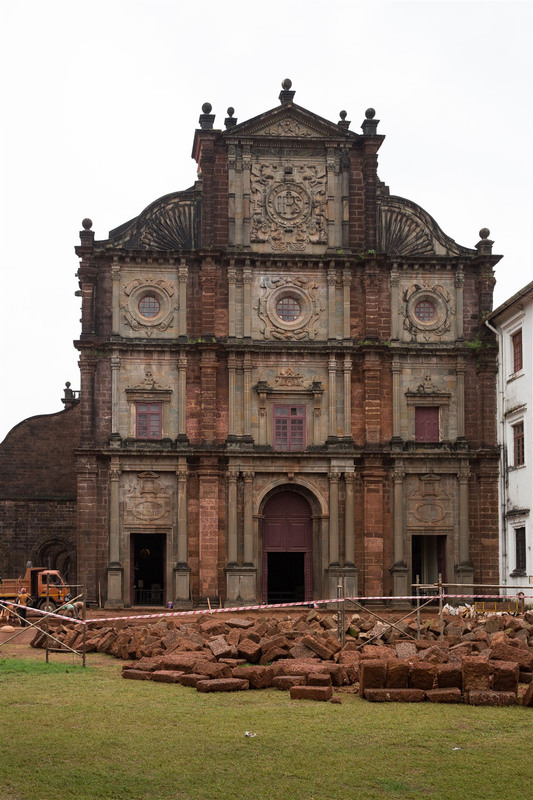 Unlike other nearby buildings, the church has had it’s plastered finish removed, revealing the red laterite construction material. 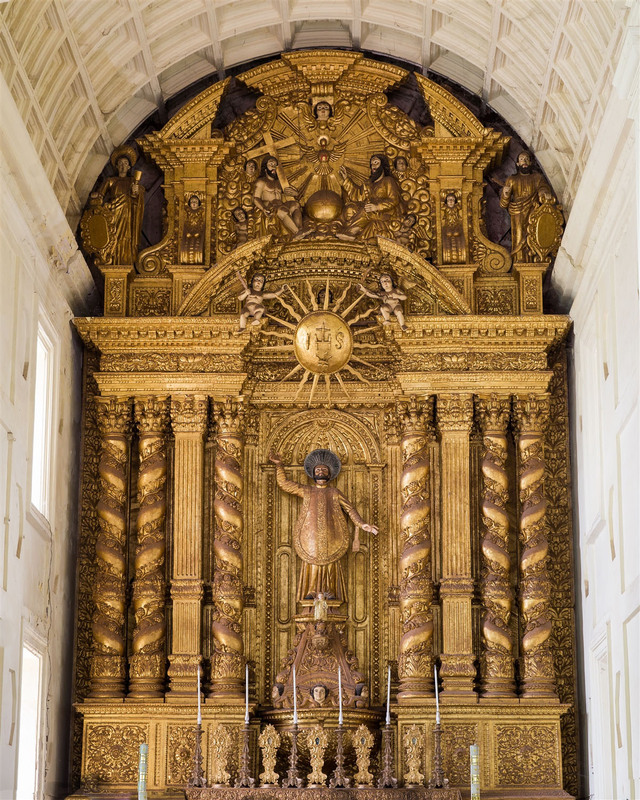 The richly gilded high alter came as quite a surprise, the central figure being St.Ignatius Loyola, the founder of the order of Jesuits who’s staring upwards at a golden sunburst. 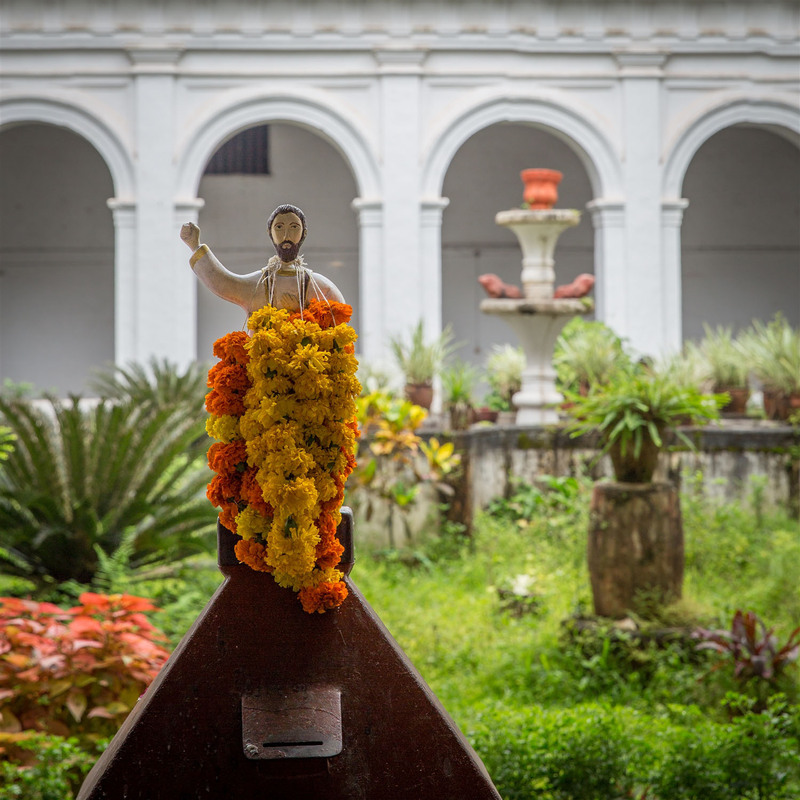 To the right side of this is the Chapel of St.Francis Xavier. 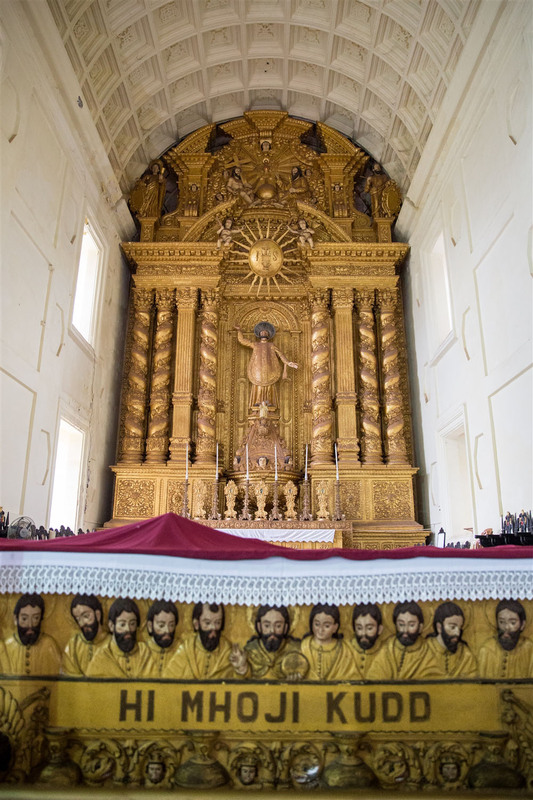 Built 1655-1698, it contains the body of the man who is possibly most responsible for the spread of Christianity to India and Far East. 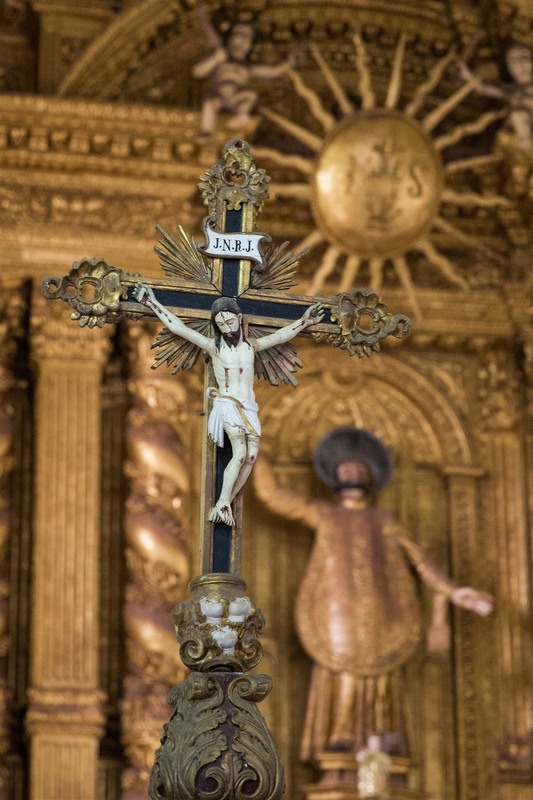 It is said he baptised more people than any other Christian evangelist. 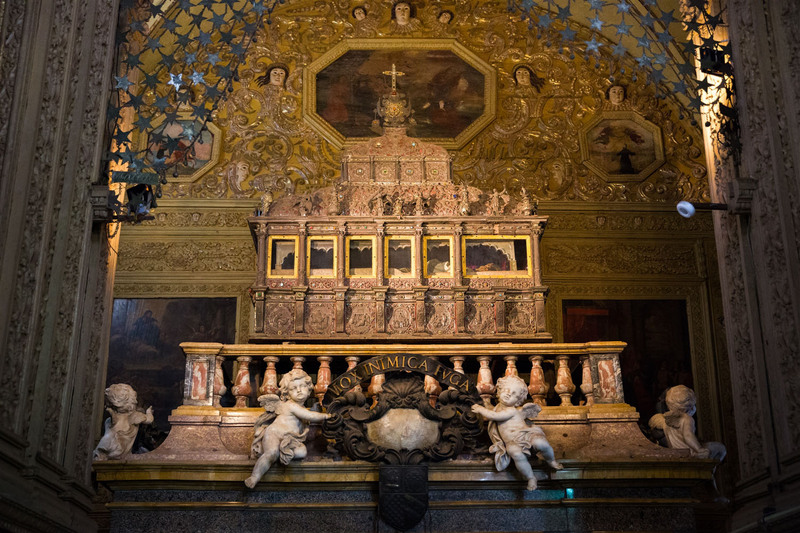 The body itself can be just seen at an elevated position through some glass panels, resting in a silver casket studded with jewels and many small panels depicting key events from the life of the saint. Beyond the chapel is a lovely courtyard, beyond which you can then make your way to the small Chapel of St.Catherine, which is well worth a short visit.